The Student Theatre of Lapland was founded 1980 in Rovaniemi, Finland. After many years ”on the road” we finally got the brilliant theatre building Wiljami in year 1992. Wiljami is an ex-cinematheatre with possibilities for audience of 200 and with great lighting equipment. We are an amateur theatre, which means we don’t have any paid staff. As we don’t seek economical advantage, the theatre lives mostly from grants. All the income from the plays go to next projects. As the name tells, we are mostly students with the university, some high schools and intermediate school of healthcare most presented. Our people don’t have any higher theatre education, all we do we learn by working together. 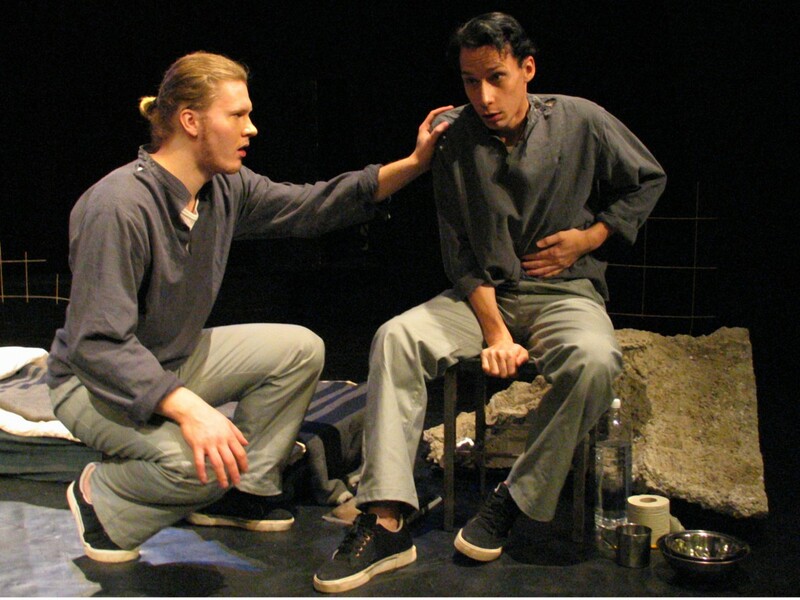 Still many of our previous members have made theatre their profession: they work as actors, directors and technicians in several city theatres in Finland. We have 3 – 5 plays per year, with one or two bigger projects. Nowadays our theatre is living its good days, we have won festivals in Finland and invited abroad to theatrefestivals. If you are interested in our activities, don’t hesitate to contact us.